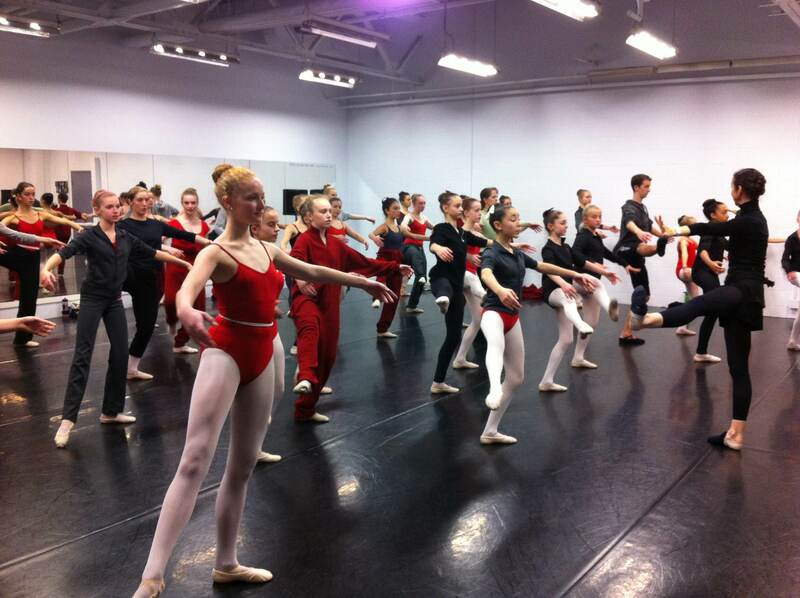 Pro Arte Pre-Professional students received a full day workshop with guest teacher “Holistic Ballet” teacher Clare Guss-West ( BHum, , MA, RAD) this past Monday. Clare began her career as a performer with “Second Stride” dance company and as a choreographer creating works commissioned by The Place, London. Clare choreographed with American composer Philip Glass and became choreographer and director at English National Opera, London. She created productions for The Lyric Opera of Chicago, Los Angeles Opera, Seattle and San Francisco Operas, Netherlands Opera, Wiesbaden & Kiel Operas, Royal Opera House Covent Garden, Sadlers Wells, BBC Proms, Paris Opera Bastille. As a result of dance injury, her work deepened to include studies in holistic health. In response to her injuries she published her own movement method – ‘The Energy Source’ – simple daily exercise for mind and body vitality – enhancing movement through visualization of energy. This work integrated into productions at ENO, Opera de Paris and the ROH was recognized with a Laurence Olivier nomination for outstanding achievement. She currently teaches classical & contemporary dance in Switzerland for daily professional training and for the RAD. Her teaching focuses on providing tools to empower dancer’s to promote their own wellbeing for a sustainable career. Her ‘holistic ballet’™approach to training integrates somatic technique, qi gong into ballet class to maximize effectiveness (IADMS, RAD, SOTA & NAFA Academies, Singapore). She specializes in training ‘dancing longevity’®techniques and the benefits of dance for the elderly (Cannes Dance Festival, IADMS, RAD). Both ‘holistic ballet’™ and ‘dancing longevity’® are new RAD CPD teacher training offerings.